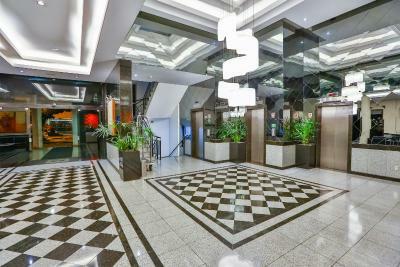 Lock in a great price for Manhattan Plaza – rated 8.8 by recent guests! Modern hotel good breakfast which is included. Bed comfortable and I liked having a balcony. Airport shuttle bus stop very close. Wagner the staff was perfect, really good guy and perfect customer service. Very friendly and helpful staff at front desk. Breakfast was nice, very friendly staff, had a coffee machine and omelettes made for you. 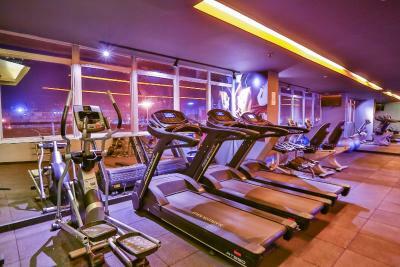 nice cakes and fresh fruit and cereals Nice gym and pool Location is excellent. 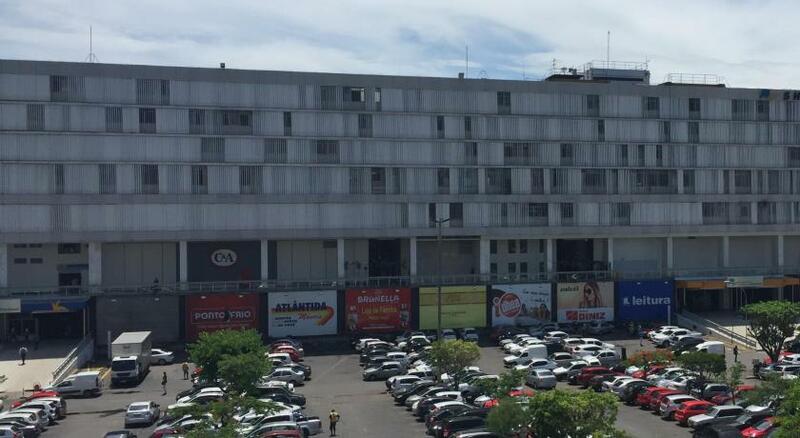 The Conjunta Nacional shopping mall is directly in front, 5 minutes walk, don't be put off by the exterior, it's beautiful inside with a great food court, security everywhere and lovely shops. 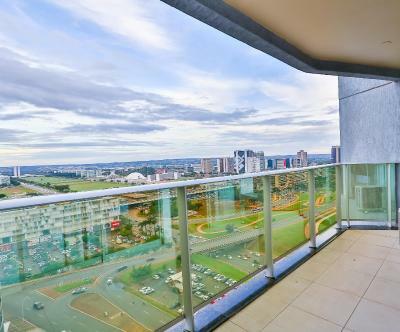 It's also an easy walk to Brasilia Mall. Both are very large malls It's easy to access the main tourist sites from the hotel but I recommend the tour provided by the hotel, 90 Real each in a little van and guide, Excellent! It's too far to walk to the sites, as in miles! Customer service was good and friendly. breakfast was excellent. The rooms are large. Huge balcony. Everything was fairly walkable. Some good restaurants nearby. I recommend Madero. Minibar fairly price. 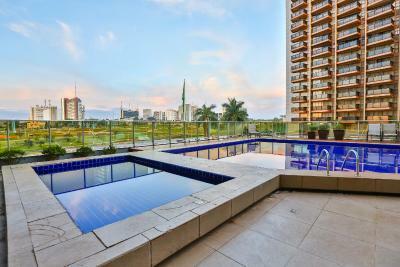 The Appointment was spacious and comfortable with a good view of the city from the balcony. 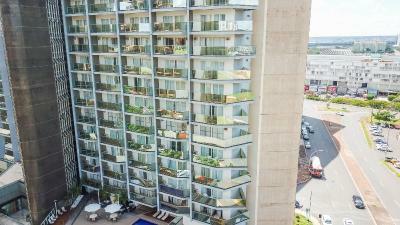 By far this is the best hotel I've stayed at in Brazil. Thank you, Manhattan Plaza! I liked very much the view and the room space. There is a type of living room separate from the bedrooms, which I thought is convenient. Breakfast is great and the facilities are clean, clear and wide. Internet works very well. Everything was great, from the staff to the amazing breakfast. Amazing hotel and amazing staff. Food was also awesome. Keep up the hard work. 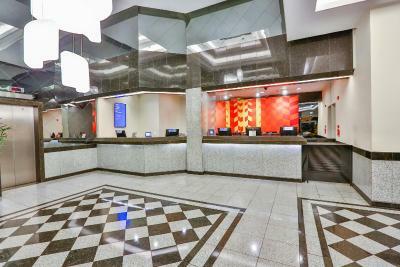 Manhattan Plaza This rating is a reflection of how the property compares to the industry standard when it comes to price, facilities and services available. It's based on a self-evaluation by the property. Use this rating to help choose your stay! 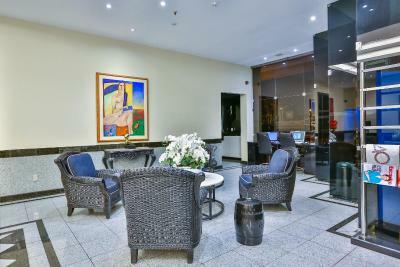 One of our top picks in Brasília.Offering rooms with panoramic city views and featuring an outdoor pool, a sauna and a fitness center, Manhattan Plaza is located in downtown Brasília, near the city's main mall and Ulisses Guimaraes Convention center, and includes free WiFi. All rooms boast a scotch bar and a balcony. Also included are a desk, air conditioning and cable TV, as well as private bathrooms with hot showers. 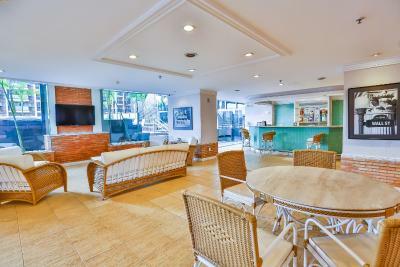 Guests can enjoy a rich international cuisine and free breakfast at Manhattan Restaurant, and fast food, drinks and relaxation at Madison Hall Bar, located by the pool. Manhattan Plaza is only 1,000 feet from Conjunto Nacional Mall, a 5-minute drive to Esplanada dos Ministérios and a 15-minute drive from the International Airport. 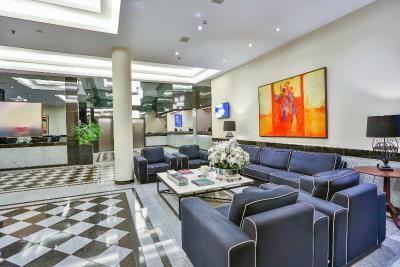 When would you like to stay at Manhattan Plaza? 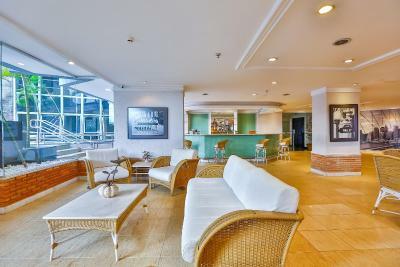 Featuring a balcony, this air-conditioned room has an LCD TV, mini-bar, telephone and safe. Wi-Fi is free. Please note that this triple room does not accommodate an extra bed. This twin room has a balcony, cable TV and mini-bar. House Rules Manhattan Plaza takes special requests – add in the next step! Manhattan Plaza accepts these cards and reserves the right to temporarily hold an amount prior to arrival. Please note that children under 5 years stays free of charge when using existing beds. Please note, the steam room is open to guests from 16:00 to 22:00 and the gym is open from 06:00 to 22:00 both daily. Manhattan Plaza doesn't accept checks. No hot water! Two night stay best water ever got was lukewarm. Ridiculous. The only small improvement I could think of is that the facilities like gym, sauna and such could be open for a longer time. Staff was very friendly, polite and engaging in conversation, always greeting us with a smile on their faces. Upon arrival room was very clean and kept clean throughout our stay. Breakfast was good and never lacking of quantity. 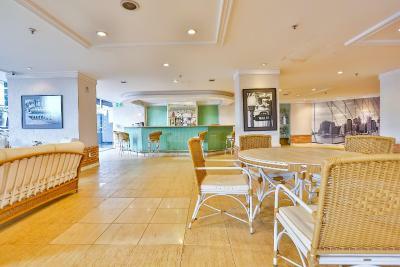 Location is good too and if you are lucky to get one of the rooms on the upper floors you could get a very amazing view. Great mattress, very comfortable! The balcony was huge and with a nice view! The room service food was AMAZING! The electric shower in the bathroom was difficult to control water temperature. Booking.com gave me one price but I paid a higher price at the hotel and they weren't able to refund me accordingly so they give me a a credit that did I end up using because my flight was later in the night. the rooms were outdated my room had rip curtains rip lamp shade. I had to check in early so I don't think I got the best room it wasn't properly clean so I had to do a little cleaning myself. The room didn't come with a microwave or an iron which I think is a must the restaurant dinner was not that great so we ate out most of the time. The TV seem to be on satellite so half the time it was not working. ok Wi-Fi but you always have to reconnect and put your information in again. I found the bed/ mattress to be very hard but my fiance was comfortable. They charge to use the business center computer/internet. We were upgraded (without asking) to a room on the top floor and the view from the balcony across the city was fabulous. The king size bed was very comfortable and air conditioning worked very well. Breakfast was the best of any hotel we have stayed at across all of Brazil. The buffet selection was amazing and chef was there cooking eggs (and tapioca?) to order. The room had a balcony but no balcony furniture. Not very important but used to mention that would have made a 10. Good location, excellent breakfast, large spacious roms with good beds, outdoor pool with afternoon sun. The desk was very helpful to any type of help required. Taxi stand only 10 m from the hotel entrance and car available every time we needed transport. Disappointed not to have an iron/press in the room or available on request, requiring the use of a fairly expensive ironing service instead, and the rooms were not particularly well maintained. 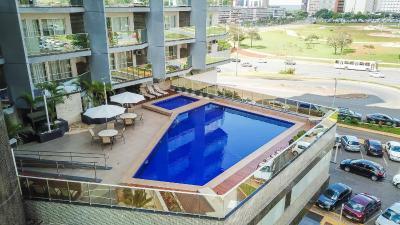 Large room and balcony, good selection for breakfast, nice pool and views of the heart of Brasília. I coordinated an exchange program in Brasilia with 11 students and a teaching assistant from Australia (13 people in total, 8 rooms). We stayed for over two weeks in the hotel. The hotel was our home away from home. 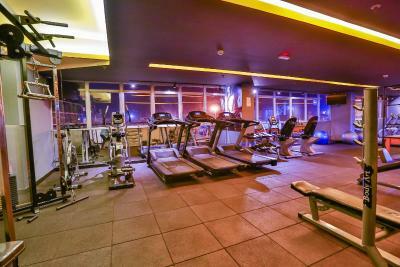 One of the highlights was the gym, fully equipped with Pilates equipment and offering complimentary 30 min pilates classes to guests twice a week (by appointment only). Their in-house gym instructor, Jean, also offers 1hr personal training sessions at affordable prices. This was the perfect way to stay active during a very busy time. 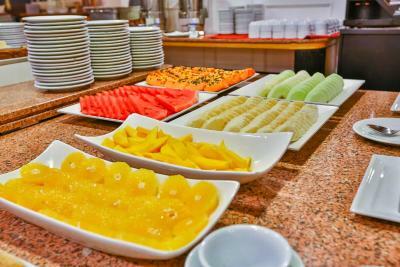 The breakfast was another highlight, with an omelet and tapioca station (the chef prepares it with the ingredients of your choice), cakes, coffee, fresh juice, and fruit. The staff at reception was friendly and very helpful. They would go out of their way to help us. I particularly thank the night-shift managers Andre and Henrique, who assisted my group when we had issues with the booking system via Booking.com and also with changing rooms when one of my students was sick. I recommend the Manhattan Plaza Hotel, without any reservations. The bathroom was a complete disaster. The shower had many strange stains all over the place, was old and the fixtures dangling on for their life. The shower head has one of those inline heater mechanisms which barely kept up with the flow of water, was skew, and looked plain gross. The sync did not have hot water at all. The door could not be closed fully. There is no extractor fan. I would not stay at this hotel again, just because of the bathroom. Due to the layout of Brasilia, there's not a lot of placed within reach of the hotel, and the two closest malls are basic at best. The hotel was good overall, with helpful staff and good rooms. Rooms were very spacious and the working area an excellent addition. The private balcony was nice to have, even though the curtains were hung in such a way that you had to climb under them to get to the door.